Recut is a weekly podcast taking a closer look at one of the stories we’re covering at 89.3 WFPL News Louisville, with the reporter who covered it. We pull back the curtain on the news process, show our work and break down the story. What Goes Into Rezoning In Louisville? Why Is The Groundwater Polluted Around This Power Plant? 'Tis The Season For Cultural Insensitivity? The Kentucky Legislature has no official policy against sexual harassment. Yep, you read that right. Life's Getting Better At Dosker, But Is It Good Enough? Recut: Is Louisville's Land Bank Working? What If You Had To Leave Home To Get Online? For many of us, having the internet at home is as important as having electricity, or maybe even water. We use it to watch our favorite TV shows, to do homework, to pay bills. With Castleman Moving, What's Next? In early August, Louisville Mayor Greg Fisher announced that the John Breckinridge Castleman statue would be removed from Cherokee Triangle. We've seen it before: A neighborhood dealing with high poverty and crime, and offering few economic prospects, is given a boost. They showed up one day, unexpectedly, like a gift from Santa. One hundred small, black, electric scooters, scattered throughout downtown Louisville. And then, 30 hours later... they were gone. Growing up in Louisville, in a not-particularly-politically-engaged family, I had never heard of Fancy Farm until I started working in a newsroom. If you’re poor or living paycheck to paycheck, you might not be able to set aside money for retirement. In fact, retiring might not even be a real option for you. Will The Bourbon Boom Go Bust? If Black Lung Is The Cost Of Doing Business, Is It Worth It? 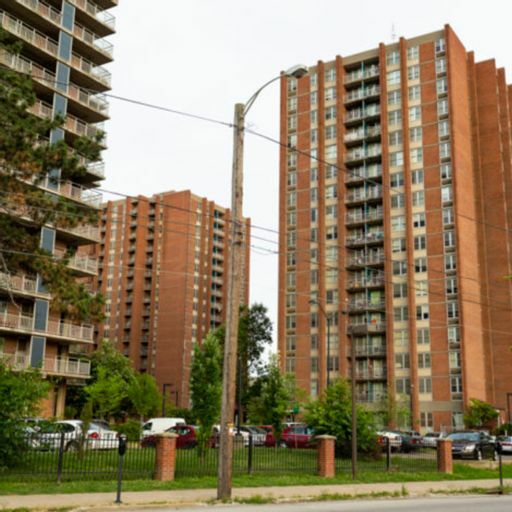 Why Is Louisville's Eviction Rate Double The National Average? Can We 'Re-Imagine' Louisville's Ninth Street Without Considering Its Past? Ninth Street. The Ninth Street divide. West of Ninth. Kentucky Gov. Matt Bevin Lost Round 1 In The Medicaid Court Battle. Now What? Will Louisville Ever Make A Decision About Castleman? Why Are Louisville's Black Kids Jailed More Than White Kids? Black youth make up less than 27 percent of Louisville's population, but more than 75 percent of youth jailed in Louisville last year were black. Is The Marsy’s Law Ballot Language Too Vague? Welcome to the debut episode of Recut! After months of planning, we're very excited to finally share this podcast with you.